Sugar is everywhere. We love it, we hate it, it’s killing us, it’s nourishing us. Who to believe! We’ve teamed up with nutritionist Danielle Roberts to take a look at sugar and its many forms. Which sources of sugar nourish and which don’t? Danielle frequently sees people searching for health, wellness and happiness solutions. And just as frequently there is confusion caused by all the conflicting information out there. We need some natural sugar in our bodies. Red blood cells have no other source of energy to use and unlike the brain, they cannot use fat as fuel in desperate times. Red blood cells need glucose to carry oxygen around the body to different tissues. In order for our brain to work optimally, it also needs glucose, not only for energy but for serotonin production (our happy hormone) and melatonin (our sleepy hormone). This doesn’t mean you have a free pass to eat lots of processed sugar. Sugar can come from many different sources; some of which bring little or no vitamins, minerals or fiber to the table. With fruit we have to digest the fruit’s plant cells first to access the sugar, this takes energy. Whereas table sugar has no fibre so we just absorb it straight into our blood stream. Fruit has vitamins, minerals and phytonutrients (plant only nutrients) which table sugar is devoid of. To process and utilise these also takes energy. 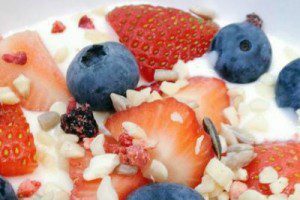 Not all of fruit fibre can be broken down, hence not all the sugar is unlocked from the cells. It passes through our bowels to keep them healthy. So we don’t actually get all the sugar from the fruit. Fruit adds valuable nourishment into our diet. If some fruits are not agreeing with your digestive system, then choose fruits that are easier to digest and pack great medicinal value i.e. blueberries and pineapple. Discover which fruit your body responds well to and what ones it doesn’t. If you feel energised and the digestive system is happy after having a certain fruit, then it works well with your body, if not then it doesn’t. 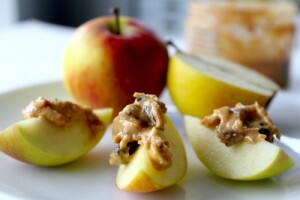 Dried retains some of the nutrients (vitamins, minerals and phytonutrients) of whole fruit. During the drying process, water is removed hence the sugar becomes more concentrated. Due to the smaller surface area of the plant cells (fibre) we can actually eat more of the dried fruit. This is where a problem can arise; eating too much dried fruit results in a high sugar intake. Dried fruit can be handy for a quick refuelling food source, for sports competitions, hikes, cycling etc. For our ProMix we combine dried fruits with a base of nuts & seeds to offer that vital boost in fibre to ensure sugars are slowly absorbed. Coconut sugar has a similar appearance to cane sugar. Coconut sugar includes the fiber inulin which doesn’t slow down the blood sugar response as well as the soluble fibre in dried fruit. However, the blood glucose response is better than that of cane sugar. 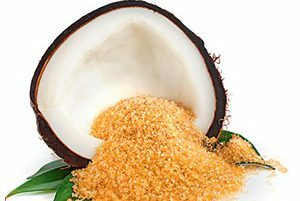 Coconut sugar retains quite a few of the nutrients found in the coconut palm. I’d like to point out that even though coconut sugar contains some nutrients, you would get a lot more from consuming other real foods i.e. whole fruits and vegetables. Stevia is a green, leafy plant native to South America. It has been used for medicinal purposes for many centuries. The plant has also been grown for its strong, sweet flavour and used as a sweetener. However, the refined stevia sweeteners used today often don’t resemble the whole stevia leaves at all. Most often the food industry use a refined liquid or powder of the plant’s isolated sweet compounds. Often to receive the medicinal benefits of a plant you need to be consuming the actual leaves rather than the refined/ processed versions. Hence, there won’t be as many vitamins and minerals in them either. 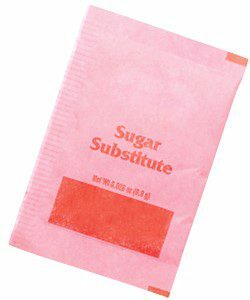 If you do have a problem with overconsuming processed sugar, then this may be a good option as a replacement. However, be aware that by using the refined/ processed version you are consuming nothing nutritionally whatsoever. 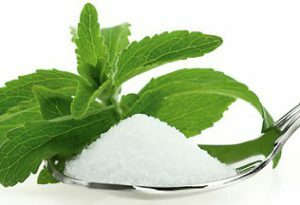 Being that stevia is 100 times sweeter on our tongue than processed table sugar, it may drive an increase in unsatisfied sweet cravings for some people, therefore causing sweet food binges. People with digestive issues are also at risk of getting an upset stomach having stevia as a sweetener, as when stevia is broken down by the stomach, alcohol by-products are produced which can result in bloating. Although these syrups claim to have vitamins and minerals from the plants they are derived from, it is very little compared with other refined sugar alternatives. These syrups are made by exposing cooked rice and agave plant to enzymes which break down the starches and turn them into smaller sugars, then all the “impurities” are filtered out. 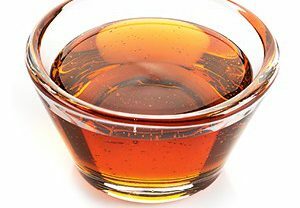 What is left is a thick, sugary syrup, which really doesn’t resemble the initial source of the foods we started with at all. By the time rice syrup reaches your small intestine and gets broken down, it is basically just 100 percent glucose, the same sugar that raises blood sugar levels. However, if you were to use it with baking depending on the other ingredients added in i.e. fibre and fat sources, these would be able to slow down our absorption of sugar in the syrups into the bloodstream. Fresh fruit, dried fruit or coconut sugar will give you more vitamins and minerals. This could be an article all on its own so I will keep it brief. Many processed foods are devoid of nutrients, and many contain artificial sweeteners to market certain products as a “healthier” option for people. Commonly used artificial sweeteners are sucralose, saccharin, Aspartame, maltitol, and mannitol. Studies have been conducted to see if these sweeteners are safe for consumption. However, they have not been studied long enough to rule out if any long-term damage is being done to our bodies. As they are man-made, not naturally derived, the body struggles to digest and process these sweeteners properly. If consumed in large amounts, it can affect our digestive system (i.e. bloating/IBS). On top of this, they have no vitamins or minerals so do not nourish your body in any way. Many are thousands of times sweeter than glucose, so can cause an increased drive for seeking and eating sweet foods. Understanding the many different types of sugar sources in greater depth is key to arming yourself with knowledge to decide what is going to be best for your body, your health and your happiness. « Why does going gluten free work for so many?